Happy Friday! It has technically been a short week for me, but I’m still so excited for the weekend. This week was an incredibly exciting one, mainly because Scottish Fiance and I went to the Harry Potter Studios in London! So much wizardy goodness was had and I’m still patiently waiting for my Hogwarts letter (it’s 19 years late, but I’m holding out hope). If you guys are interested, I can do a post with all my photos! I managed to read two very different books this week. First, Africa’s Tarnished Name is a little book of four short essays by Chinua Achebe. I really, really enjoyed this — in fact it’s the first of the new Little Penguin Classics that has earned a four star rating from me so far. Achebe is a fantastic author and this little book is an excellent introduction to his work. Legendary is the second book in the Caraval duology. This is a highly anticipated 2018 release for many readers. Because I felt really let down by Caraval, I wanted to dive into Legendary before the hype and reviews began to come in. I thought it was an improvement on Caraval, but still lacked many elements that would have made it work for me. A review is coming closer to the publication date! As always, I seem to be reading far too many books at once! I talked a little about each of these books last week, so I’m going to forgo going in depth here. Space Opera is my eBook read, From Darkest Skies is my main physical read — these are both review copies. Those two are definitely my priorities at the moment! Do you really think I could walk out of the Harry Potter studio gift shop without a complete set of the books? No. I own several editions of the Harry Potter books, but no paperbacks that I can just throw around and chuck in my bag. I haven’t read these books in years, but my trip to the studio has inspired me to reread them! If you saw my review of Planetfall earlier this week, you may have a good idea of how incredibly excited I am to have another Emma Newman book in my hands! Before Mars takes place in the same universe as Planetfall, but is a separate story. I cannot wait to read this! The Electrical Venus looks like it will be an intriguing blend of fantasy and historical fiction. I don’t know much about this title, but I’m really looking forward to giving it a shot! As an added bonus, Julie Mayhew will be at YALC this year. Finally, I was lucky enough to receive a Baltic Books Box in honour of London Book Fair’s market focus on publishing in these countries. These three titles were included in that box and they look fantastic! If you want to see more, I actually have an unboxing video here. I was approved for two books on NetGalley this week and they both look amazing! The Poppy War is a new fantasy novel that has its roots in 20th century Chinese history. I have a feeling that I’m going to just adore this book. The second book I was approved for was Fury from the Tomb. How fun does this look? Just look at that cover — I feel like that’s all you need to know about it. This looks like a marvelous Indiana Jones-esque book that will be an absolute riot. So that’s it for this week! I’m planning to rest up this weekend and power through some good books. Perhaps I’ll start a Harry Potter reread! I’m going to continue to recycle my ‘yer a wizard, Daxy’ joke. 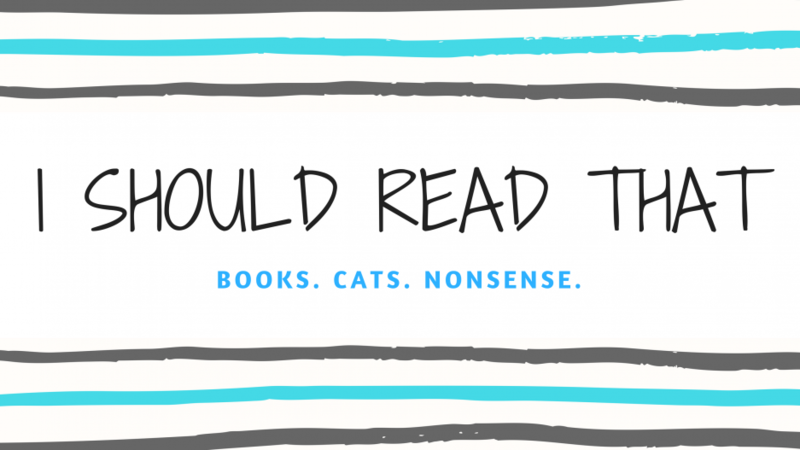 What have you read this week? Did you pick up any new books? Have you been to the Harry Potter studio? Let me know! Finished The Poppy War today, would recommend! Oooh that’s very good to know! Would love to see a post about your trip to the Harry Potter studios! Harry Potter Studios is LIFE! I started on Space Opera at lunch and I am loving it. So much fun! !